Recessed lighting is a great way to illuminate a room using a minimalistic approach that avoids clutter. Recessed lighting is a versatile means of providing both ambient and task lighting to just about any area in your home. These lights are mounted in the ceiling. If you don't like the look of a round, white light fixture, there are other choices available. 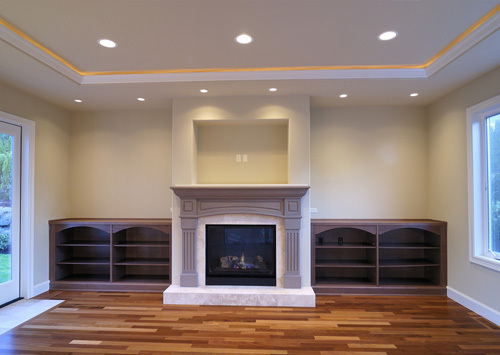 You can find recessed lights with trim rings in different colors or metallic finishes. You can even get square lights, if the round-style is too plain or conventional for you. There are three types of lighting you can use to illuminate your home and they're based on the kind of light bulb they use. They are incandescent, fluorescent and LED. Many homeowners want to use recessed lighting to create a focal point such as Illuminating artwork. AJP Electric can help you choose the right lighting elements such as gimbal fixtures that rotate, revolve and swivel, so you can focus the light exactly where you want it and even change your focal point when you change your home decor.